On a recent trip around Crete with www.gocrete.net we discovered lots of new Crete treats including petimezi and, here, rakomelo. 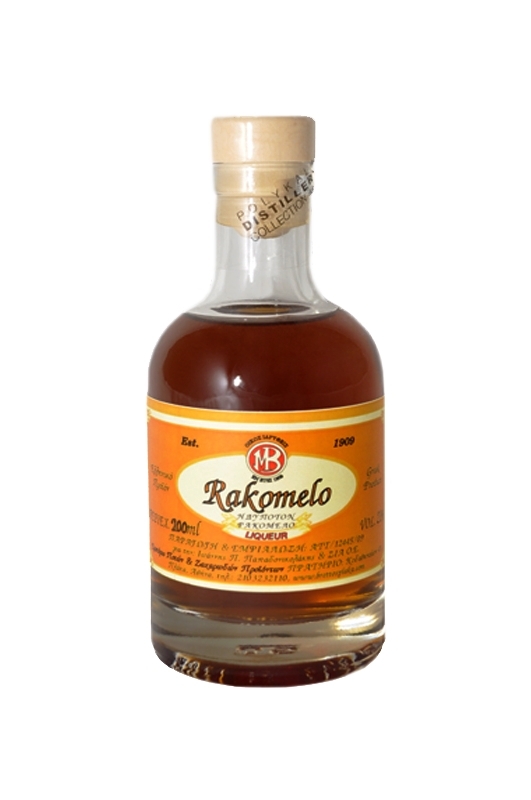 If you know any Greek you can figure out that rakomelo combines raki with meli: raki and honey. So it's a sweet alcoholic drink, flavoured with spices, particularly cinnamon. Everyone has a slightly different recipe, and it's made on several Aegean islands, on the Greek mainland and also on Crete. We wanted to learn more about rakomelo, so our guide Isidoros from www.GoCrete.net tracked down Jorgos Kourmoulis. 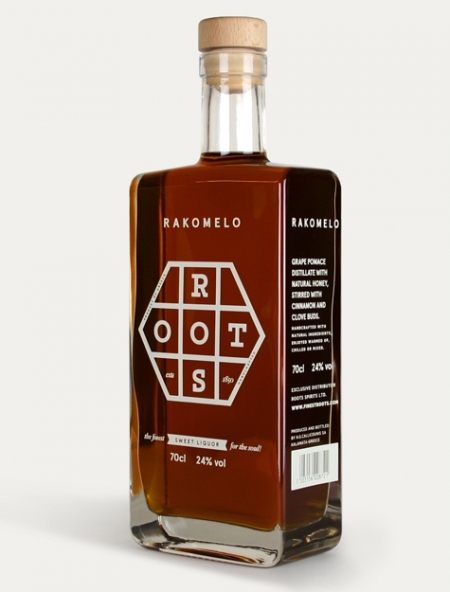 Jorgos makes rakomelo for his family and friends but his recipe is so good that a company in Canada wants him to go into commercial production to make rakomelo for them. We met Jorgos at his sister Niki's café, the Mylos Café, in the village of Agouseliana, about a half-hour south of Rethymnon. It was early evening and we were on our way to Agiroupoli, where we were going to spend the night. This being Crete, Jorgos of course poured us some raki to clink glasses, and Isi translated as Jorgos shared his rakomelo secrets. 'First,' he said, 'you have to find good quality raki.' The raki we were drinking was super-smooth so it's obvious Jorgos had found a good source. 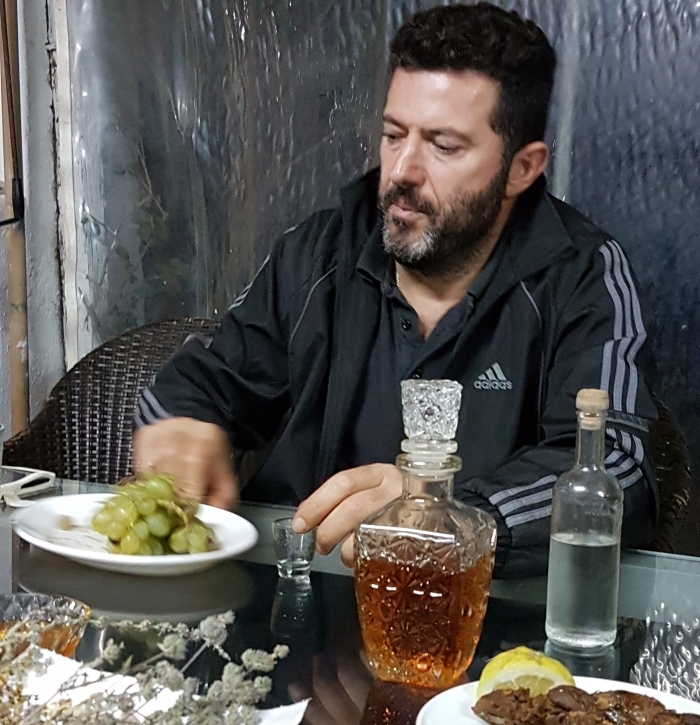 Jorgos uses a recipe from Agouseliana, which calls for various herbs that Jorgo picks in the mountains around They include thyme, salvia, a kind of mint (mentha pulegium or pennyroyal) and another kind of thyme (thymus capitatus). After the second distillation he stops the procedure when the raki is about 40%ABV and is still warm, but not hot, and this is the time to add the honey, which is mainly thyme honey. It's also now that another vital ingredient is added, Ceylon cinnamon, which also helps to give the drink its brandy-like colour. Jorgos explains that Ceylon cinnamon is eight times more expensive than regular cinnamon, but it's vital to get the best quality. Some makers use cheap cinnamon to cut costs, and some even use cinnamon flavouring, but Jorgos wants the best rakomelo he can produce. With the addition of the cinnamon stick and honey, Jorgos leaves the mix for 20-30 days. Then when it's clear it's ready to bottle. At the moment Greek regulations mean that Jorgos can only produce 100 kilos for family and friends before it's regarded as a commercial production and all kinds of rules and expenses come into play. Jorgos has spent two years perfecting his recipe, but his perfectionism may be paying off. He sent samples of his drink to a company in Canada that were interested in it, and someone is coming to Athens to discuss it. Despite the hurdles, Jorgos is looking at how to raise the money to go into commercial production. He clinks our raki glasses again. 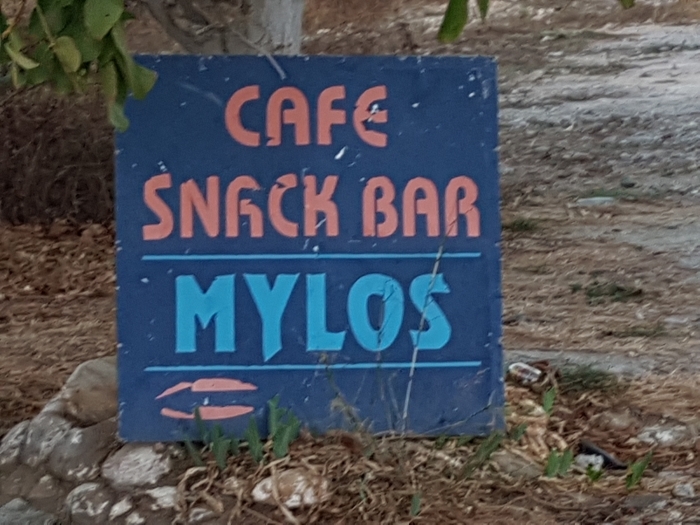 If you want to try some of Jorgos's rakomelo, you'll find the Mylos Café next to the war memorial in the village of Agouseliana. 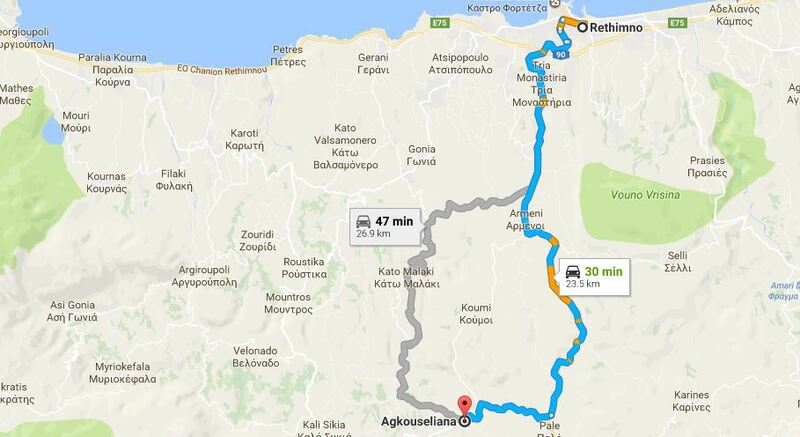 Greece Travel Secrets would like to thank www.gocrete.net for arranging the meeting as an additional stop on one of their tours of Crete.